Well, last week was certainly interesting. Like most Harvest Moon fans, I was waiting to hear about a localization of the latest game in the series, which released earlier this year in Japan. But then, there was a stir on Twitter as a little creature watched as his seeds grew into the Harvest Moon game we’ve been waiting for. Just one problem: it’s not called Harvest Moon. Yeah, I pretty much called XSEED/Marvelous USA localizing this game last year in my first Musing (which I then immediately apologized to Natsume for, since I said that they would be in trouble when they lost this IP). But I didn’t expect the Harvest Moon name to be dropped. For the most part, people seem to understand and accept the new Story of Seasons name without much hesitation. However, there still seem to be some that are confused by some things about the whole situation. And with a recent announcement by Natsume, that confusion will go straight into the release date for the game. So, as an educated fan of the series but still admitted layman when it comes to the business of rights, trademarks and mergers, I will try to explain how this happened. Many moons ago, there was a Japanese company called Pack-In-Video. From the looks of their catalogue, they spent most of the 80’s and 90’s developing and publishing smaller titles and licensed games. You probably have heard of some of their NES games. They did Predator, Rambo, Die Hard, Knight Rider, and Friday the 13th. Just looking at that list makes you wonder how they became the creators of a beloved simulation series. In 1996, Pack-In Video published Bokujō Monogatari, the brainchild of Yasuhiro Wada. 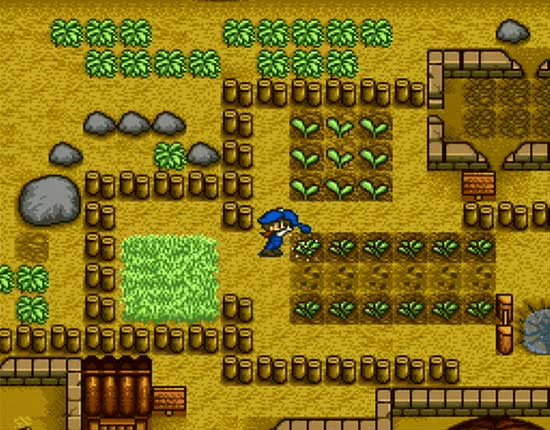 The game centered around a boy who moved into a village to take over his grandpa’s farm. 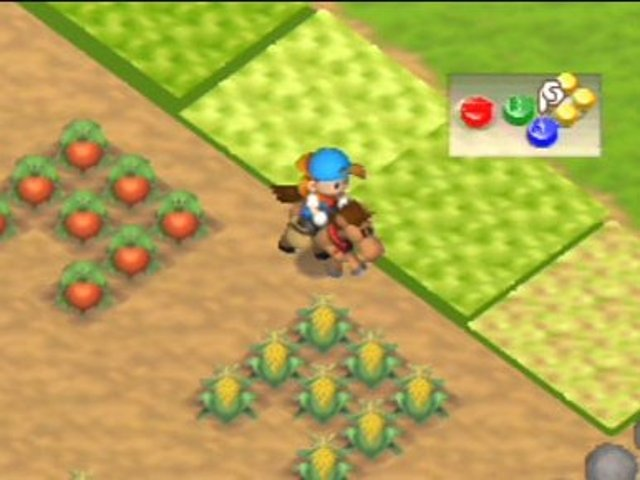 Throughout the game, you grow and harvest crops, look after your animals, participate in town festivals, and court and marry one of the available bachelorettes. It wasn’t great, but it showed a lot of potential. And almost immediately, things were added in or improved with the next few installments, titled Bokujō Monogatari GB and Bokujō Monogatari 2. These included choices of gender (which, unfortunately for some, didn’t become a regular thing until the GameCube era), an improved clock, and the stamina system that has become a staple of the series. And every installment of the series would see little tweaks to the gameplay that brought something fresh while still having the main gameplay at the forefront. It wasn’t until around 2006 when we saw the first major changes to the franchise in the form of spin-offs. The first of these were Innocent Life (which was set in the future), Rune Factory (which added action RPG elements), and Puzzle de Harvest Moon (which switched to puzzle-based gameplay). Afterwards, there was Frantic Farming (which is seen as a better Puzzle de Harvest Moon), My Little Shop (which brought focus to a store that you ran while growing the ingredients it needs), and Hometown Story (which scrapped the farming aspect and focused completely on running a store). Each of these experienced various degrees of success, with Rune Factory becoming its own series. But in 1996, Pack-In-Video was just a simple Japanese developer. They had yet to move towards becoming Marvelous. It was only at the end of the year that they merged with Victor Entertainment to form the software division Victor Interactive Software. In other words, if Bokujō Monogatari was to come West, it would need outside help. By the time August of 1996 rolled around, Natsume had built up 9 years of goodwill, developing and/or publishing NES games Shadow of the Ninja and S.C.A.T. : Special Cybernetic Attack Team, as well as SNES games Pocky & Rocky, Wild Guns, the 1994 iteration of The Ninja Warriors, and the Mighty Morphin Power Rangers game. They would also add Lufia II: Rise of the Sinistrals to their list of localization credits before the year was up. But in order to get something to sell, you need a name that people can gravitate to. Not to dump on the translation of Bokujō Monogatari, but a name like Farm Story would’ve sounded like a shovelware title. In a more modern setting, it sounds like a generic game on Facebook… or another Bejeweled clone by King. So, they needed a name that would fit the translation and sell to the general public. What we got was Harvest Moon, which fit really well. The term “Harvest Moon” comes from American folklore (often attributed to Native American culture) detailing the full moon closest to the autumnal equinox, around the time when farmers would begin harvesting their crops. The name would stick, with Nintendo publishing the game with said name in PAL regions as well as Natsume forming a partnership with Victor Interactive to localize the games. 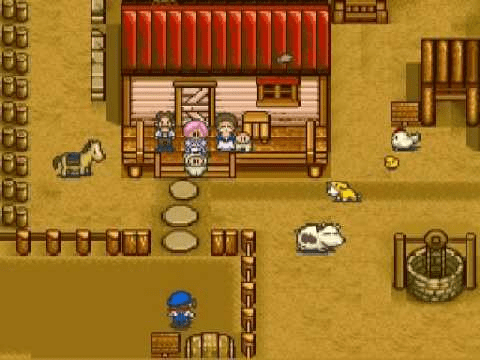 And while the developer went through a constant period of change, Natsume remained the constant, playing a major role in localizing the series and its spinoffs for Western regions. That is, until a small team of localizers were brought into the fold.